I hope you are having a wonderful crafty day - or at the very least - have scheduled one for yourself very soon. Today's project has to be my all time favorite gift ever. I made this for a dear friend's birthday. I am not sure, but I think she cried. 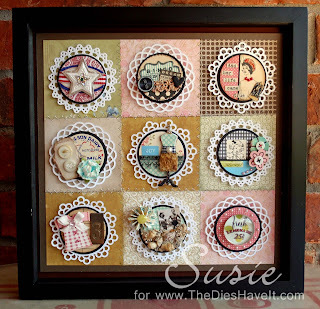 The doilies are from Martha Stewart, but now there are doily dies that would do the same thing so you could easily recreate this. 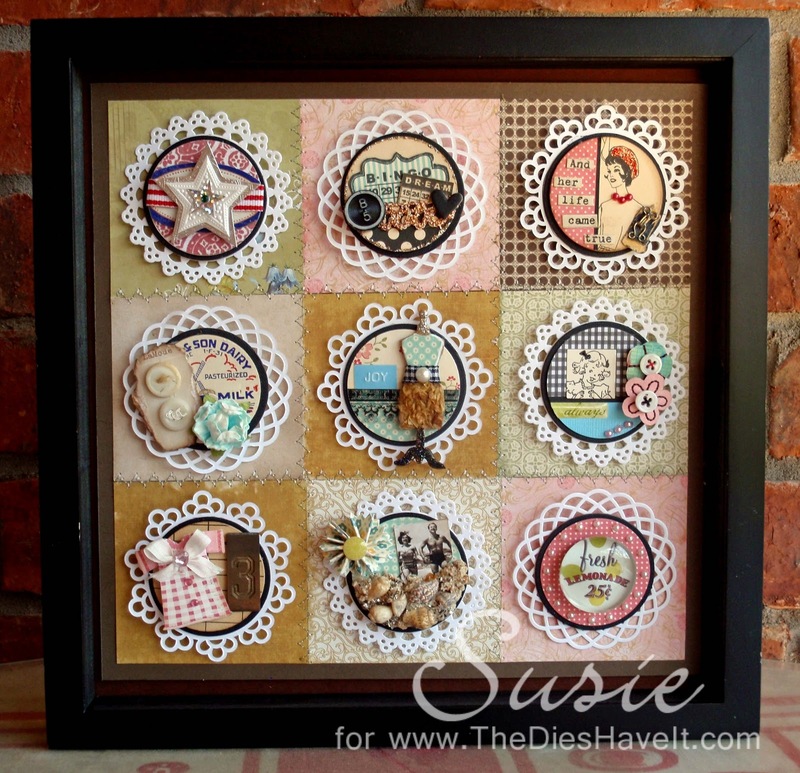 I just made each little circle (cut from Spellbinders dies) into a mini canvas about her life. It didn't take long to make this once I got started. The shadow box is from Ikea - but I have seen them at Target too. Also, always be on the lookout at garage sales and thrift stores for these - just my little tip for you today. I will be back tomorrow with a Joy's Life design team challenge project. This is so intricate and darling!!! Looks very detailed! !